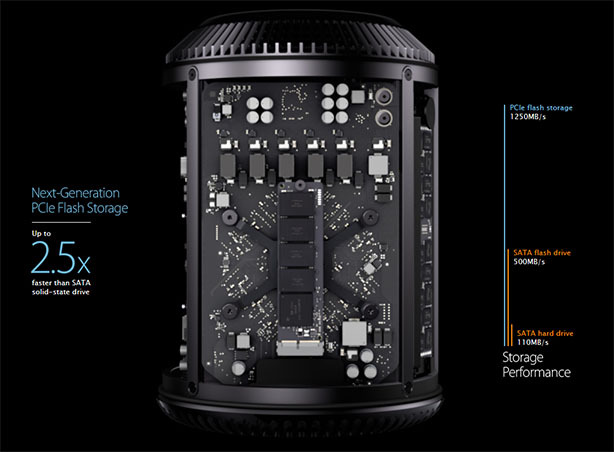 Tonymacx86.com have just published details of a rumour telling of a “spring 2013” release date for a new model Mac Pro tower. 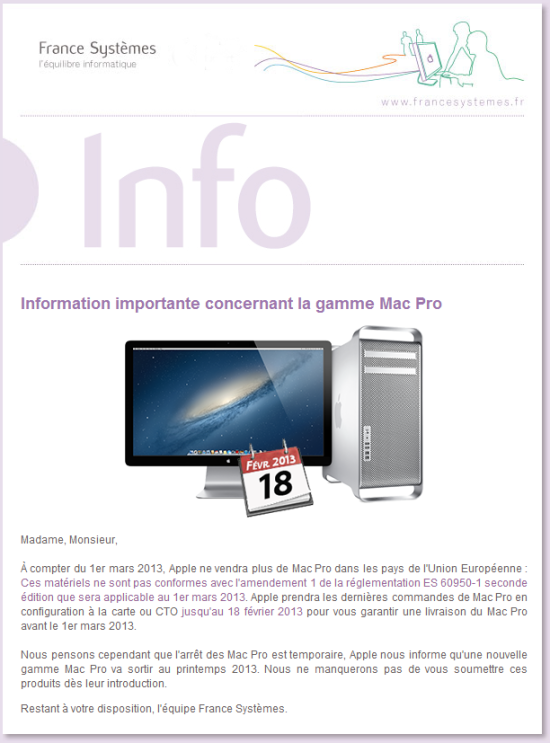 “As of 1 March 2013, Apple will no longer sellMac Pro in the countries of the European Union: These materials are not consistent with Amendment 1 regulatory ES 60950-1 second edition that will apply from 1 March 2013 . Apple take the last orders of Mac Pro configuration card or CTO until February 18, 2013 to guarantee delivery of your Mac Pro before 1 March 2013. However, we believe that the decision of the Mac Pro is temporary, Apple informs us that new Mac Pro will be released in spring 2013. We will be sure to make you aware as those products as are introduced.